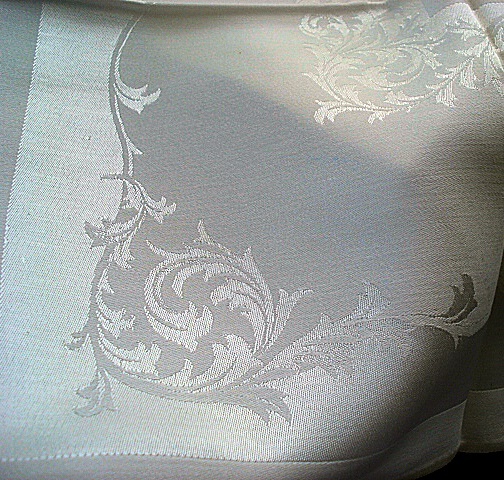 Find beautiful tea time, luncheon and dinner banquet sized napkins. 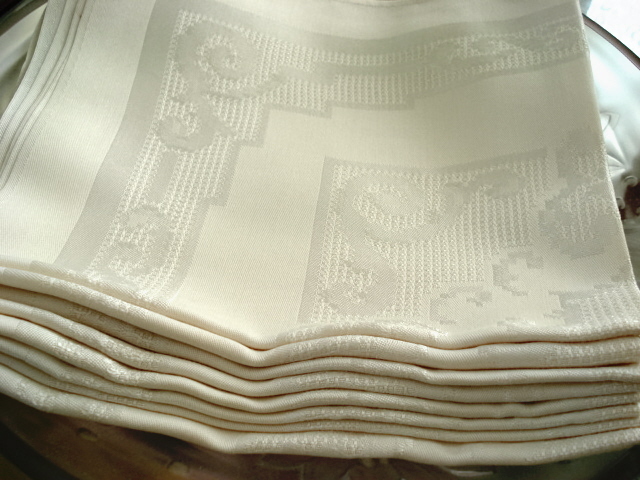 From sweet Madeira to finest Irish Linen to beautiful Italian fine linen to lace edged! Elegant Tea Time Vintage Art Deco 1920s Italian Linen Napkins Set Natural Linen Ecru Embroidered Luxury Table Linens Gatsby Era Never Used! 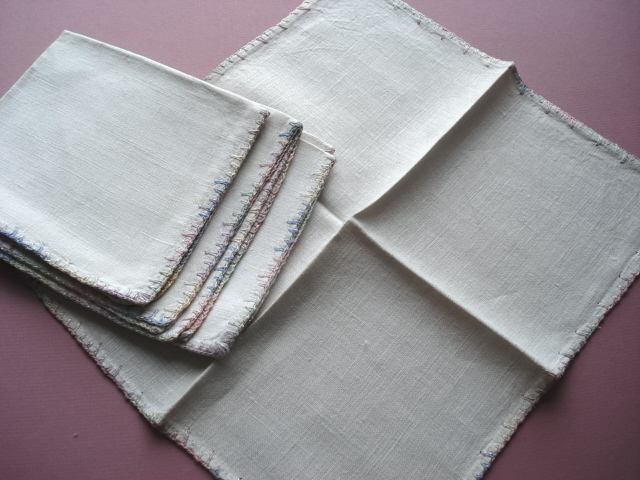 #N5749 VINTAGE SET OF LINEN NAPKINS PERFECT FOR TEA TIME!